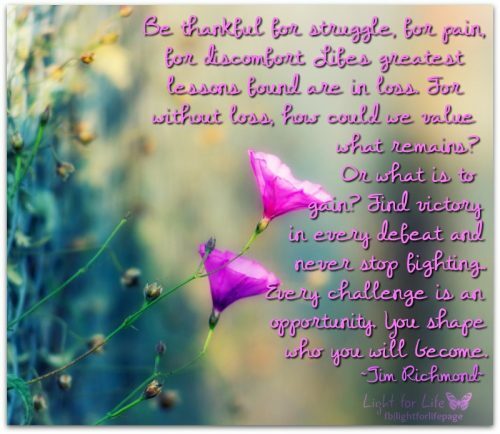 Be thankful for struggle, for pain, for discomfort. Life’s greatest lessons are in loss. For without loss, how could we value what remains? Or, what is to gain? You shape who you will become. growth, lessons, life, pain, struggle, triumph. Bookmark.